Georgia Moore was diagnosed with leukemia the day after her 10th birthday. 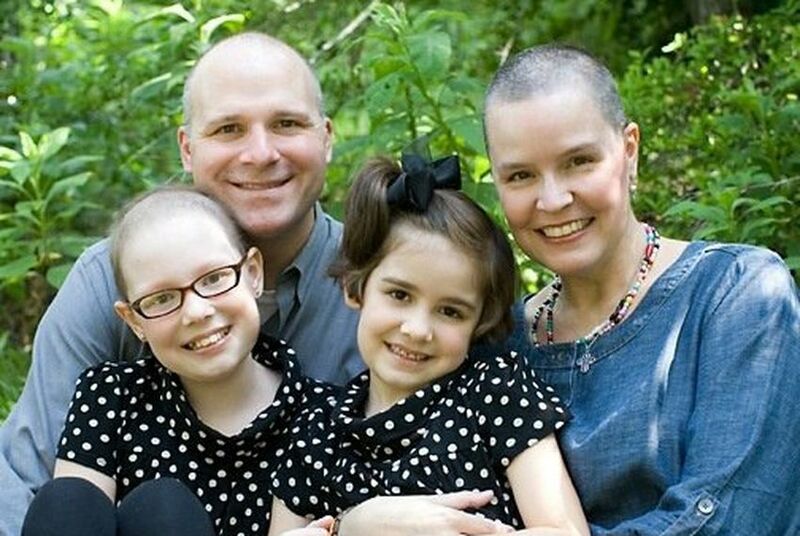 The fourth-grader began an intense chemotherapy regimen, which left her immune system vulnerable and kept her from attending her small, private Montessori school in Austin. “She would go to school, come home and immediately we’d put clothes in the washer to keep a healthy environment,” the girls’ mother, Courtney Moore, said of the family’s after-school routine. The Moores’ vigilance paid off. Georgia, now 16, had very few hospitalizations during the course of her treatment and is now cancer-free and five years out of treatment. But Georgia’s battle against cancer made Courtney Moore a vocal advocate for immunizations in Texas — where an increasing number of parents are opting against vaccinating their children, and data about the number of unvaccinated kids in individual public schools is not available. As is the case across the country, areas where kids aren’t receiving vaccinations in Texas tend to be places with more highly educated and higher-income residents. The school with the highest percentage exemption rate in the state is the Austin Waldorf School, where more than 40 percent of students are unvaccinated and tuition exceeds $13,000 a year. Regents Academy, a private school in East Texas, has the second-highest exemption rate, at almost 38 percent of the school. “If one of those kids is incubating an infectious disease and the other kids aren’t vaccinated, then it’s going to spread like wildfire,” said Catherine Troisi, an infectious disease epidemiologist at the University of Texas Health Science Center at Houston. Troisi explains that for a disease like measles, you want “herd immunity” to be at 95 percent to prevent an outbreak. If healthy children aren’t receiving vaccines, they are putting children who are too young to receive the vaccine and people with compromised immune systems at a much greater risk of infection. Peter Hotez, a professor in the department of pediatrics and molecular virology and microbiology at the Baylor College of Medicine in Houston, called the growing numbers “extremely troubling” in a commentary last month on the PLOS online science journal. He noted that some counties were getting dangerously close to that 95 percent marker, such as Gaines County in the western part of the state where the exemptions are now at 4.83 percent, and Briscoe County in the Texas Panhandle with 3.55 percent. Hotez, who has a daughter with autism, highlighted the situation in Austin, where the public school rate for exemptions is 2 percent but many of the private schools exceed 20 percent. The American Academy of Pediatrics in September issued a statement encouraging pediatricians to be more vocal about the importance of vaccines for children healthy enough to receive them. But some parents are leery of the public health efforts on vaccinations. “We believe parents should make medical decisions for their children, not the state,” said Jackie Schlegel, director of Texans for Vaccine Choice, a political action committee that was formed partially in opposition to 2015 legislation to do away with the state’s non-medical vaccine exemptions. As a mother who has seen the issue up close, Moore hopes parents understand how their decision not to vaccinate their child could have far-reaching consequences.